PROTON Edar has achieved a commendable success in building the PROTON brand name as the pride of the nation. PROTON's success story is a testimony of its product quality and excellent service. PROTON Edar has shown remarkable progress in the past and will persistently improve its services in the wake of increasing market competition and the impending challenges which the ASEAN Free Trade Area (AFTA) will bring. 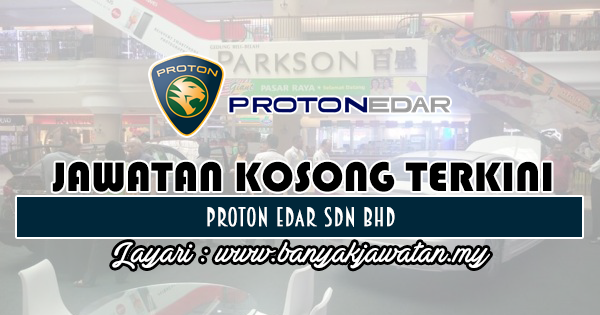 0 Response to "Jawatan Kosong di Proton Edar Sdn Bhd - 24 Februari 2019"